Corporate Update, Halloween Party, and our Beloved Giants : ProSuranceGroup Inc.
It’s been a busy couple of months at ProSurance group. Michael Chen was promoted to Director of Accounting and we were all extremely pleased as Michael is such an integral part of making this place run smoothly. We welcomed Cynthia Bjornson as a new member of the Customer Service team. Please be sure to introduce yourselves to her when you call ProSurance Group. Our new Crime Division lead by Dorothy Kent is humming along as she is very busy getting out quotes and binding business. Please check out our Crime section on this website for more information. As usual, Halloween at the office was in top form. 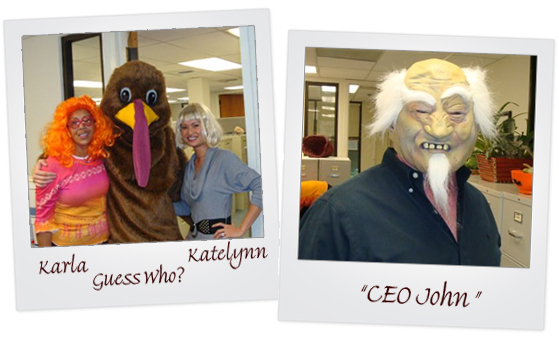 Can you spot some of our ‘Corporate Ghouls’? 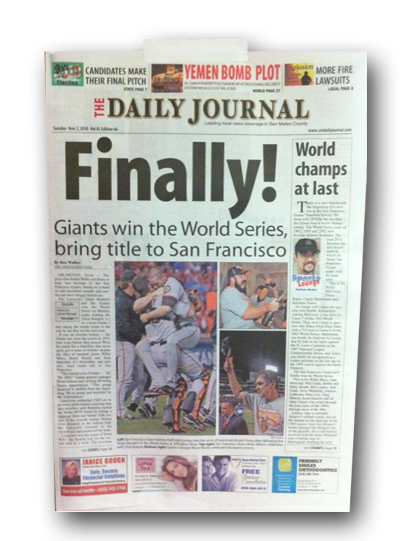 Last but certainly not least, we have all enjoyed celebrating the San Francisco GIANTS World Series victory! If your quotes have been a little slow in coming or your underwriter has been a wee bit distracted, we apologize. Once every 56 years we slack off!! !